Welcome to gethynellis.com: Looking for a DBA? Looking for a New Job? Looking for a DBA? Looking for a New Job? As a contractor and consultant I get to speak to many agents and recruiters and over the years I have built up a relationship with several agents that I have worked with on several assignments. I constantly get phone calls and emails about jobs that for one reason or another are not right for me at that particular time. These are usually permanent roles and working as a contractor and consultant means that I end up turning these down and moving on with my day. 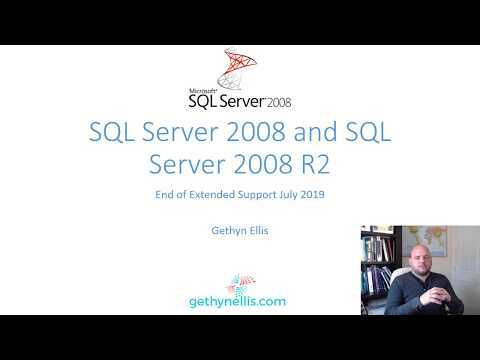 Earlier this year one of my clients got in touch and asked if I would help them look for a new permanent SQL Server DBA. For one reason or another they haven’t always been successful in getting good candidates to apply for their job vacancies. The company in question are based in the South West UK. They had tried going to agencies directly but they had not had any luck finding suitable candidate. I said I’d happily post something out on twitter and LinkedIn and maybe a post on my blog and we’ll see if we get any responses. As I was typing into Tweetdeck I noticed a post by @FatherJack about the SQLSouthWest.co.uk user group he runs, that gave me the idea that someone at the user group might be interested. I was also certain that if there were any interested candidate and they were taking the time to attend a user group then probably had all the skills and drive and needed to fill the role at my client. I pinged an email over to Jonathan who kindly agreed to mail the job description out to his user group, he also retweeted my tweet, Jonathan’s wife (@mrs_fatherjack) also kindly retweeted my tweet and between us we found someone interested enough to apply in a very short space of time.Who woo! I’m not naming any names but the person who applied for the job following our little effort ended up being the best candidate for role and got offered the job. All from my initial tweet and the kind help from the SQL community. I guess that’s the power of twitter blogs and social medial in general. Hi Gethyn, see you in June.